Throwback Thurs! 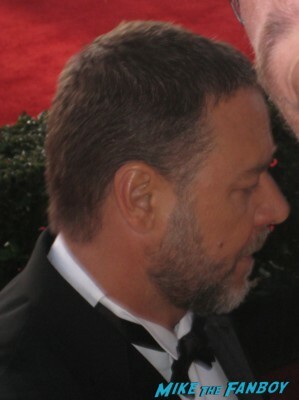 Russell Crowe! 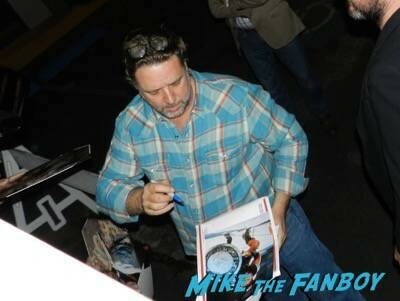 The Gladiator Star Was Super Nice Signing Autographs and Meeting Fans! Fanboy Fail Friday! Russell Crowe Slips By Suddenly Susan During The Water Diviner Q And A! Doh! 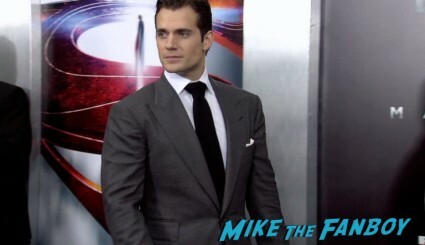 Man Of Steel New York Premiere Report! Elisa Is Hot On The Scene! Henry Cavill! Kevin Costner! Hans Zimmer! Zach Snyder! Ayelet Zurer! Dylan Sprayberry! Autographs! Photos! And More! Meeting Russell Crowe! Karalee Scores Herself A Gladiator! And A Man Of Steel To Boot! Photos! Autographs! And Overall Hotness! 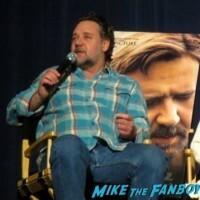 I think that everyone here at Mike The Fanboy is a huge fan of Russell Crowe. I just like him. He’s a cool guy, I enjoy his films, he’s seriously a cool guy. I had a fanboy fail trying to get to this event and meet Mr.
Man Of Steel New York Movie Premiere Photos! Henry Cavill! Russell Crowe! Amy Adams! Kevin Costner! Michael Shannon! Lawrence Fishburne! MTF reader Rebecca is going to earn herself a spot in the MTF Fanboy Family! She just sent in some awesome photos from the red carpet at the Man Of Steel premiere in New York! Rebecca was doing some videography and captured the stars on the carpet! Photo Flops! Travis Meets Russell Crowe At The SAG Awards And Gets THE ULTIMATE PHOTO FLOP! OMG! This Is Awesome! mike February 6, 2013 Fanboying!, Photo Flops! Billy Heads To The SAG Awards! With Aaron Paul! Bryan Cranston! Sigourney Weaver! Jessica Chastain! Justin Timberlake! Bradley Cooper! Amanda Seyfried! Alec Baldwin! Darren Criss! Autographs! Photos! Tina Fey Laughing At Fans! No Lie! Fanboying The SAG Awards Red Carpet! 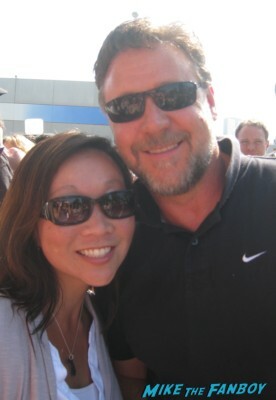 With Russell Crowe! Amanda Seyfried! Aaron Paul! Bryan Cranston! Nurse Jackie Cast! Johnny Galecki! Melissa Rauch! Big Bang Theory Madness! Awards season time! All the awards are gearing up and thanks to some nice bits of good fortune I was able to attend the SAG Awards red carpet in the bleachers! Scotty and Big Mike who I haven’t seen in forever, came out for the big event. TTM Tues! Successes From The Stars Of Star Wars! Cabaret! Serial Mom! Superman! Aladdin! Lost In Space! And More! Manic Monday! Pinky Can’t Lose After Meeting The Cast Of Parker Lewis! Corin Nemec! Abraham Benrubi! Troy Slaten! Maia Brewton! And More! Super Short Sunday! Scotty Gets Ready For A Boogie Night After Meeting Don Cheadle! Autographs! and More!